Are you hoping to plan a trip to Thailand that will be relaxing, fun, and truly unforgettable? Then you might be feeling a little overwhelmed. After all, there are a lot of amazing places to stay throughout the country, and there are also a host of exciting things to do and see during your holiday. So, how can you go about planning a trip that you’re sure to love? Well, you can start with the tips below. There are numerous hotels and resorts throughout Thailand, but they are not all created equal. Some of them offer more luxurious accommodation, while others boast the most amazing locations that will put you in the heart of all of the action and all of the beauty that Thailand has to offer. Take, for example, theMai Khao beach hotels, which are located right on the beach giving you easy access to all of the fun-in-the-sun activities that you can imagine. The right hotel will also provide you with delicious dining options, swimming pools, and activities for the kids, along with easy access to other attractions in Thailand. So, be sure to take your time as you research the ideal hotel, and read customer reviews to help you make the right choice. 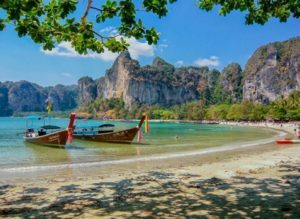 To plan a great trip to Thailand, you need to have an understanding of its dry and rainy seasons, which can vary a bit from one region to another, so doing some research during your planning will be important. There are pros and cons associated with visiting during each season. For example, the dry season, during which tourists flock to Thailand, runs from November to April. Expect crowds, and expect that prices might be higher for the same hotel room. However, you can rest assured that the monsoon season won’t be in effect during this time of year, so you can explore the great outdoors in drier conditions. On the other hand, if you make your way to the country outside of the tourist season, you can snag some pretty amazing deals if you are on a tight budget. From plane tickets to hotel rooms, you might be surprised by how much money you can save by planning your trip from May/June to October (the months with the most rain are typically August through October). Just be sure to pack appropriate clothes and gear to protect yourself from the rain. It’s a great idea to exchange your currency before your trip so that you have cash available for spending as soon as you arrive in Thailand. However, you can also convert your money into the Thai baht when you arrive at the airport in Thailand, or you might even be able to withdraw the funds you need from an ATM. Planning an unforgettable holiday in Thailand takes some time, but it will all be worth the effort. Choosing the right time of year to travel, and booking the hotel that will give you access to everything you want to do and see, are two smart strategies to get you started on the right track.